The sun rises and an old woman stands solitary on a hill’s peak. A warrior’s existence, victory or defeat, explained through flashes of battles run in a montage of different warriors of the coveted golden cane defeating their foes. The master, Cempaka (older/Christine Hakim and younger/Prisia Nasution) walks to her house, The House of the Golden Cane. She tests the skill of her four students, the children of Cempaka’s fallen rivals, Biru (Reza Rahadian), Gerhana (Tara Basro), Merah Dara (Eva Celia Latjuba), and Angin (Aria Kusumah). Soon she must choose which one will be the next Golden Cane Warrior (or the Indonesian title, Pendekar Tongkat Emas). I know that Dara was supposed to be the focus, but I was astonished by the performance of Aria Kusumah, so controlled and skilled in the martial arts for such a young boy. He definitely stole the show. Tara Basro couldn’t hide her intentions from anyone. She personified deception in her character’s appearance. The mysterious Elang (Nicholas Saputra) was a remarkable martial artist as well as handsome, too. Written and directed by Ifa Isfansyah, The Golden Cane Warrior is a vision of grace and splendor. Not to mention the adrenaline-fueled and well choreographed fight scenes. The film had a great plot structure (circles are cool), which felt natural. Gunnar Nimpuno, Director of Photography, presented gorgeous wide, time-lapsed and long shots. A few rocky handheld cam shots and strategic, colored sun flares covering the shots were a bit annoying, but they were short-lived. The majority of the shot sequences were steady and clear. 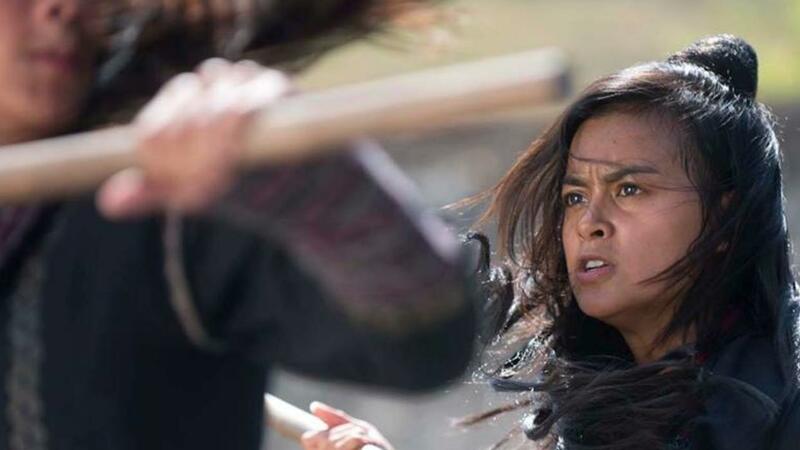 Well Go USA Entertainment brings a solid martial arts film and brings some of Indonesia along with it. 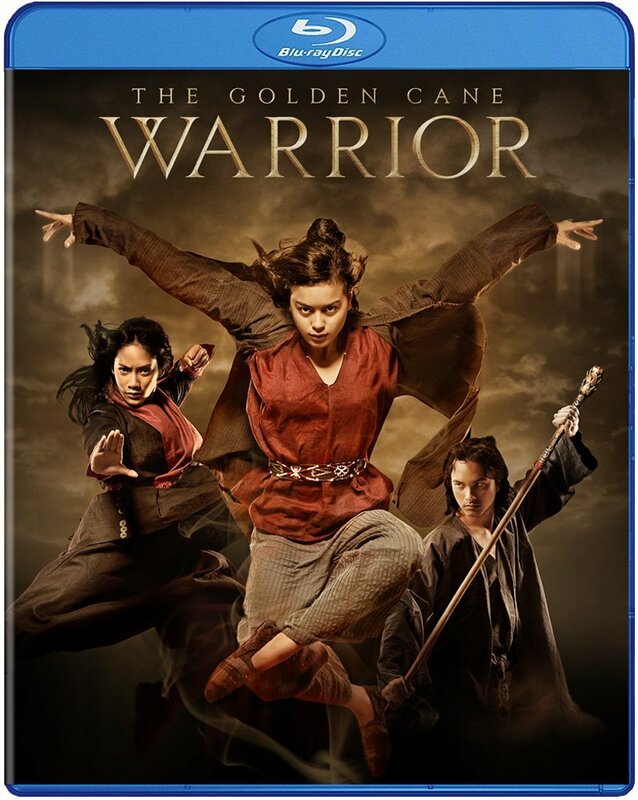 The Golden Cane Warrior comes with an exquisite 1080p HD transfer and is presented in 16:9 widescreen or 1.77:1 aspect ratio. Films like this one make you glad the high definition of Blu-ray exists because it is shot so beautifully and mesmerizingly. You feel as though you could reach right through the screen and wipe each individual bead of sweat from the ailing Cempaka. The colors are natural and the lighting is well designed so as to not wash out the images. The film’s DTS-HD MA 5.1 HD sound allows the viewer to hear the pounding of the crickets’ song (yes, they were THAT loud). Aside from the loud crickets the sound was well balanced and natural. Theatrical Trailer (HD, 2 Mins.) – Trailer for the film. This entry was posted on Wednesday, November 11th, 2015 at 9:52 am	and is filed under Film, News. You can follow any responses to this entry through the RSS 2.0 feed. You can skip to the end and leave a response. Pinging is currently not allowed. « Check Out The Hilarious Trailer For ‘Uncle Nick’!! !